Sticky Mango has big windows that can be opened up on a warm day and they also let a lot of light into the restaurant. 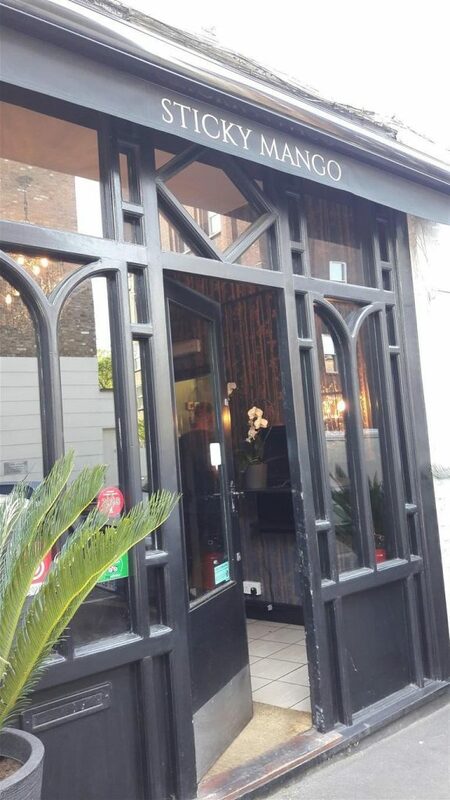 Orchids decorate the restaurant and the flowers contrast the black and brown furniture. The staff gave us friendly and efficient service. They allowed us to enjoy a relaxed dinner at the restaurant. 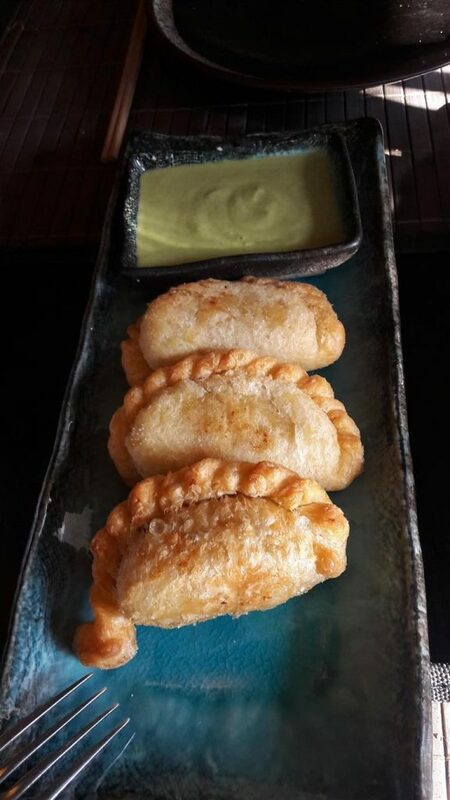 A trio of Malaysian Chicken Curry Puffs were served with coriander yogurt. The chicken curry filling was perfect encased in the flaky crispy pastry. The filling was generous with the chicken pieces and the curry sauce was just the right spice and consistency level. 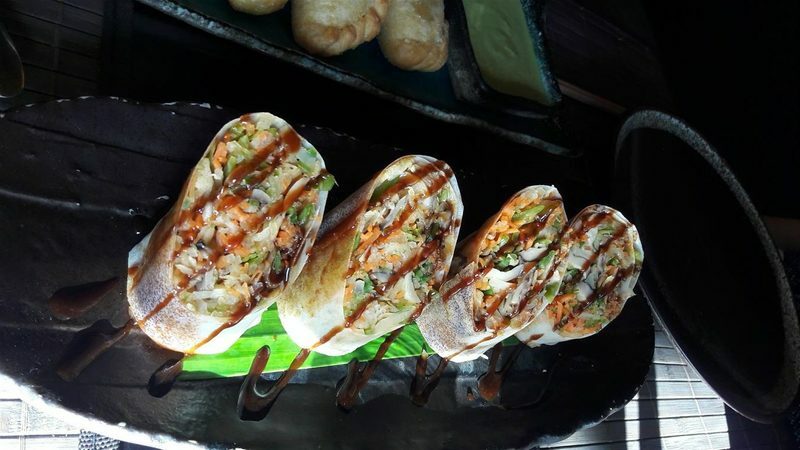 The Popiah Vegetable Rolls were filled with a selection of crunchy fresh vegetables. The wrapping of the rolls were very thin. The Popiah Rolls needed the hoisin and soy dressing that was drizzled over them, to give them additional flavour. 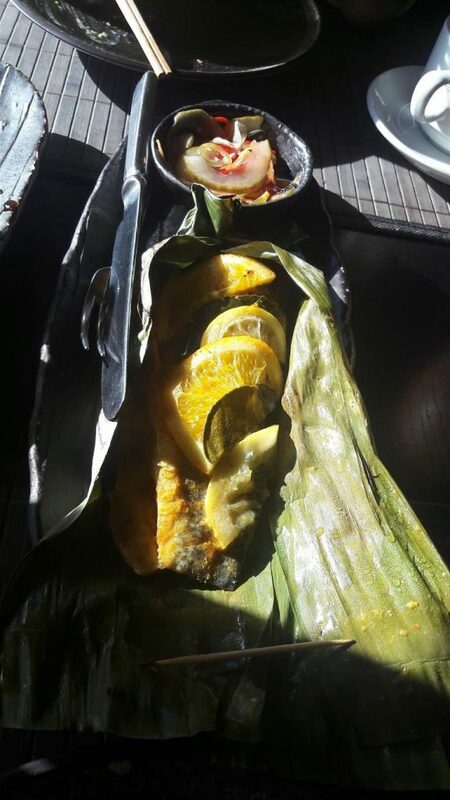 The steamed and grilled Indonesian Seabass was served wrapped in the banana leaf that it had been cooked in. Unwrapping the parcel revealed a crispy skinned seabass topped with lemon slices. Cooking the seabass in this way gave a moist succulent fish dish. The flavour of the fish was the star of the show. It came with some cucumber and carrot pickle. 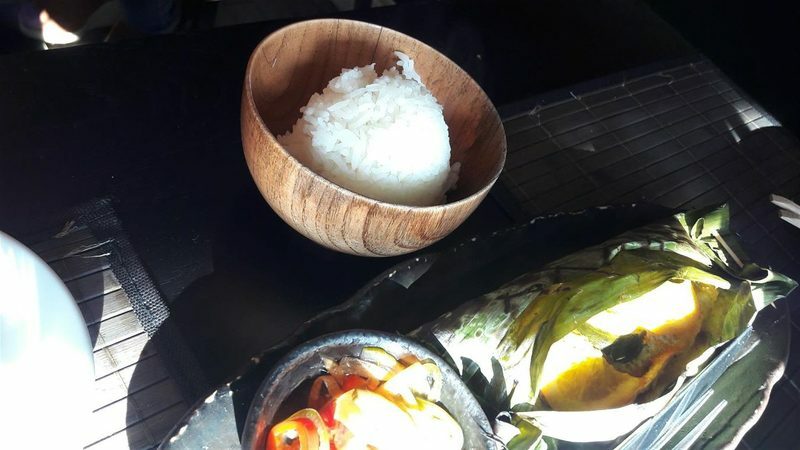 A good accompaniment to the seabass was the bowl of Pandan Jasmine Rice. 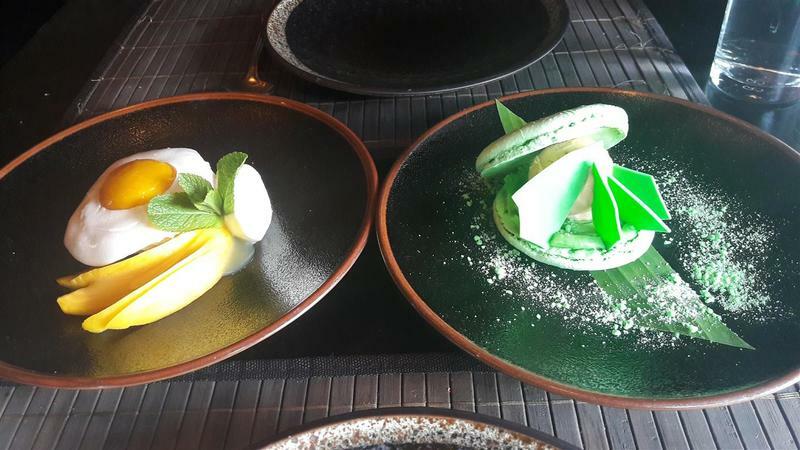 Sticky Mango excelled with its desserts. Two amazing desserts were had to finish off our wonderful meal. When the staff brought out the desserts, he explained how the desserts should be had. He said that they should not be deconstructed. Each mouthful was to include all of the components as that is the way that the chef wanted the flavours and textures to come together. 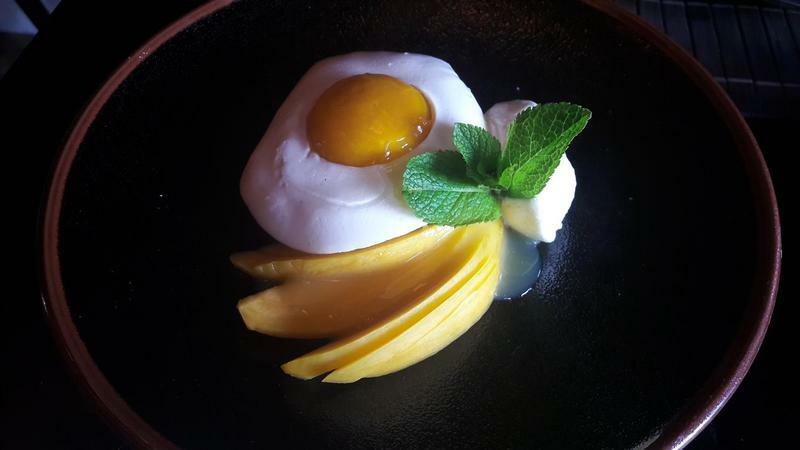 The Sticky Mango dessert looked like a fried egg. It was actually a mango sphere surrounded by coconut and whipped condensed milk. Beneath the mango was sweet sticky rice. Mango slices were fanned out on the plate. This signature dessert was delightful. 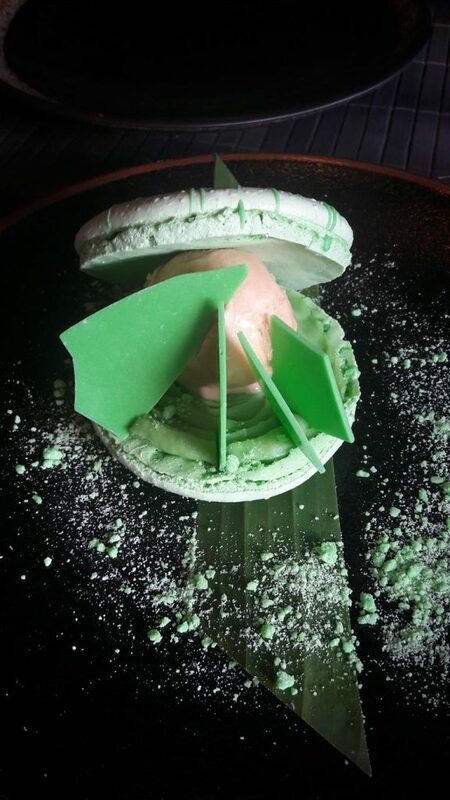 The Pandan Macaron Kaya Jam was a bright green macaroon. It was served like an open clam shell with a scoop of soy caramel ice cream. A layer of kaya jam was spread on one of the macaron slices. Kaya jam is made with coconut, eggs and caramel. The pandan flavour was not overpowering. A really different but great dessert. Sticky Mango had put such thought into all of its dishes and made sure that each one was unique and authentic in its flavours and tastes. Presentation was key but also the food was of such a high quality. If you approach the restaurant and see the Kama Sushi sign in the window, it is still the same restaurant. 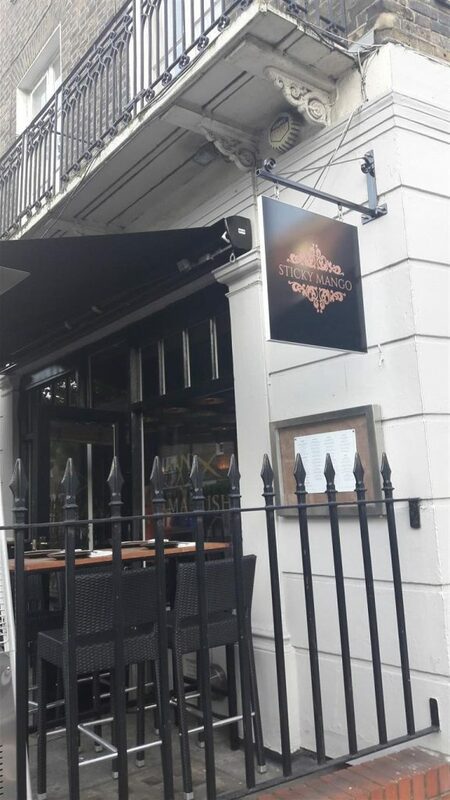 The staff explained that Sticky Mango was actually three different restaurants. One was the sushi restaurant, one was Sticky Mango and the other one was that there was a private dining area on the lower floor. 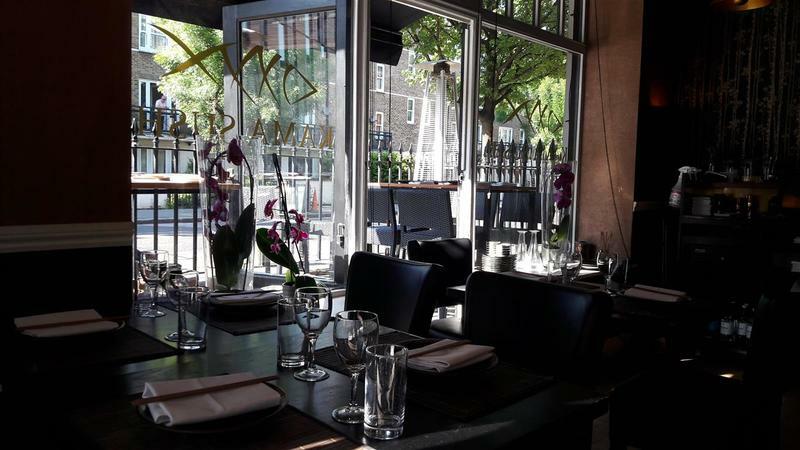 If you fancy the sushi, then Kama Sushi is the pop up restaurant. 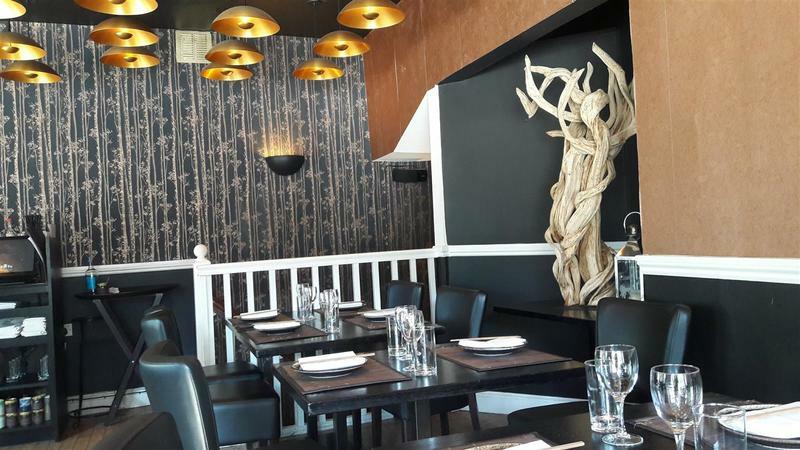 It is a collaboration between the chef Peter Lloyd and the sushi chef Thin Kyar.